When it comes to sports, if you are talking about Portugal, you will be, almost for sure, talking about football. Perhaps some athletics. But one thing the Portuguese are definitely not known for, is their basketball skills or accolades. Unless you are Patrícia Nunes Penicheiro. Or, as the world got to know her, ‘Ticha’ Penicheiro. Drafted by the Sacramento Monarchs with the second pick of the 1998 WNBA Draft, ‘Ticha’ played in the WNBA for 15 years long – she left the game in 2012 and up to this day there is no other foreign born player with more playing seasons in the WNBA history than the Portuguese point guard. During those 15 years in the league, her flashy style, no-look passes, and ball thief skills were often featured in the Top10 plays of the week. Those were her trademark moves. But more than flashy, ‘Ticha’ was also effective – 4 years after she stepped away from the courts, Penicheiro remains as the WNBA all-time assists leader, with 2599 passes leading to a scored basket, according to Basketball Reference. Sue Bird (2421) and Lindsay Whalen (2178) pursue the Portuguese point guard. ‘Ticha’ is also the player with the best assists per game ratio with 5.72 per contest, while Sue Bird is the second best in the league history with 5.39 assists per game. On the other side of the floor she also left her mark in the game, counting 764 steals on her own. By the beginning of the 2017 season, only Tamika Catchings (1074) stole more possessions than ‘Ticha’ Penicheiro since the WNBA was created, back in 1997. Whenever the league celebrates its history and decides to honor the players with the biggest impact in the game, ‘Ticha’ is always among the best. That happened in 2011 when the WNBA chose its Top15 players of All Time and also in 2016: while celebrating its 20 years, the league elected the 20 best players of all time, and Penicheiro made the list – aside from ‘Ticha’ the other only foreign born player making both lists was Lauren Jackson (Australia). ‘Ticha’ Penicheiro is the living proof that quality can come from wherever on Earth. Being born and raised in a country that saw only 2 players making it to the NBA or to the WNBA (the other was Mery Andrade, who shared the court with Penicheiro at Old Dominion and went on to play 5 seasons in the WNBA), ‘Ticha’ was able to forge her way into stardom, win a title at the highest level of women basketball (in 2005, Sacramento Monarchs beat Connecticut Sun 3-1 to claim the championship), add multiple accolades to her personal account and being recon as one of the best players to ever wear a WNBA jersey. As Portugal seems to be climbing up the rankings in youth European women basketball (recently, FIBA awarded a gold certificate of honor to Portugal in recognition of its outstanding progress in Girls Basketball for the period 2014-2017), “Ticha’ is still the star that shines brighter than all. 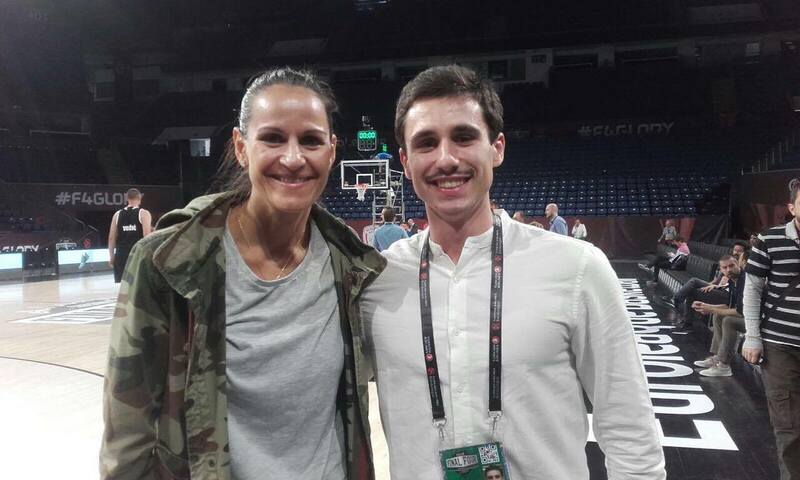 For now, she is still an oasis in the history of Portuguese basketball. For now, her career is still a vivid example that no matter where you come from, you can set the bar high and accomplish amazing feats.